Penny and Banjo first met while they were out and about with their parents over a year ago, and it was love at first sight. They became instant best friends, and made it very clear from the beginning that being apart for long periods of time was not something that would work for them. 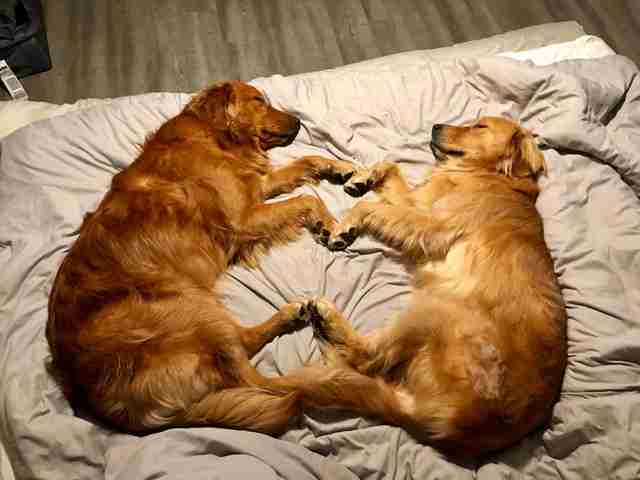 Penny and Banjo’s parents enrolled them both in the same doggy daycare, allowing the pair to play and cuddle for eight hours a day, Monday through Friday. Their bond grew and grew, and they seemed to absolutely adore spending so much time together — until Penny’s family moved away. Even though Penny’s new home is only about 30 minutes away from Banjo, they don’t get to see each other every day like they used to. 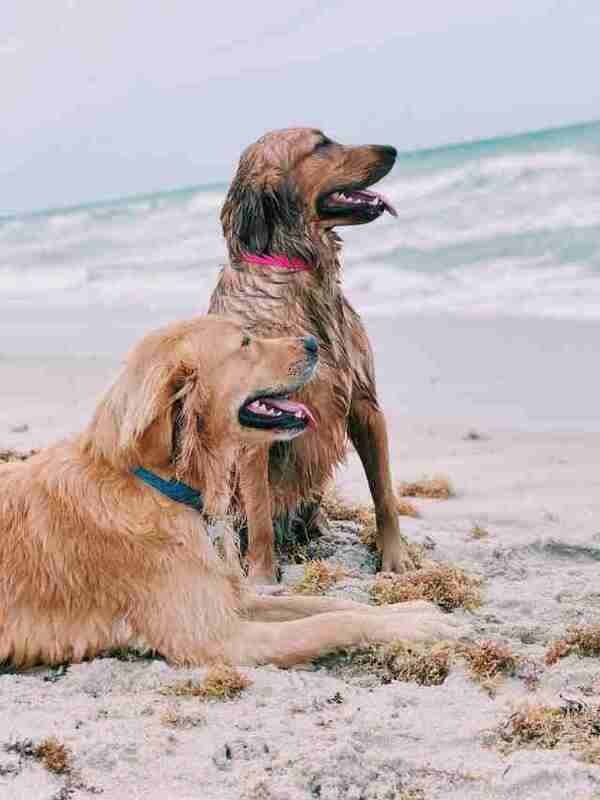 Their parents still make sure they get together, though, and plan dates to the dog park, the dog beach, swimming pools and anywhere else they can think of. 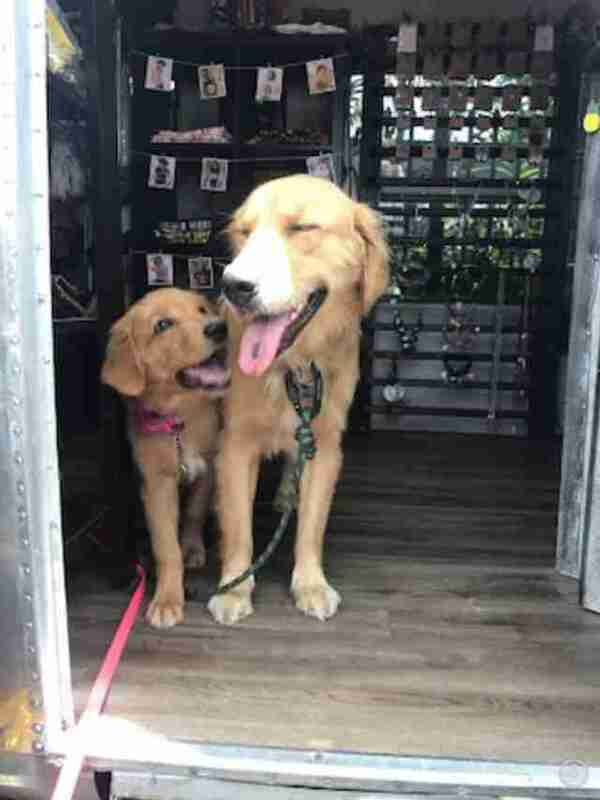 Penny and Banjo are always beyond thrilled to be reunited, and cherish every moment they have together. 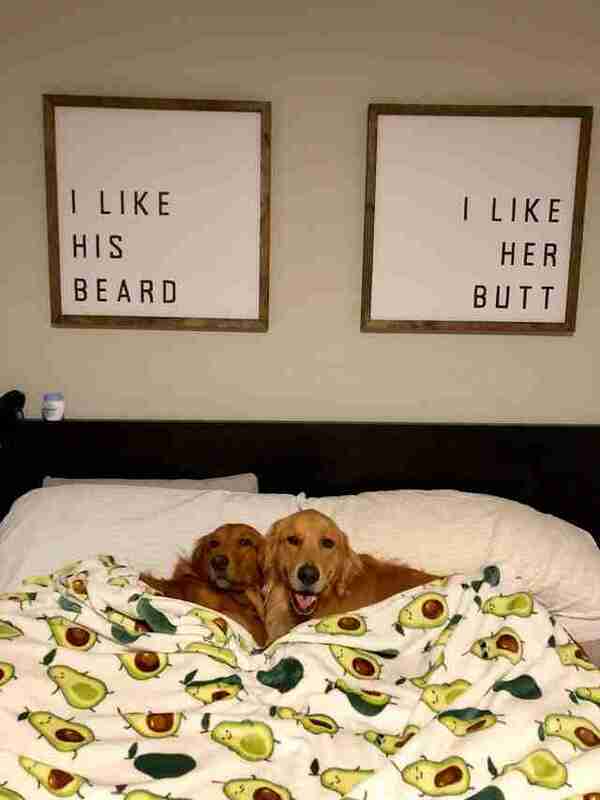 Recently, both Banjo’s family and Penny’s family happened to be going out of town back-to-back weeks — and they decided to use the trips as an opportunity for the adorable dog couple to have an extended sleepover. “Penny stayed with Banjo for a week and then Banjo stayed with Penny the next week,” Folz said. … they fell asleep in the cutest position, with their paws touching, solidifying just how much they really love each other. “They seem to comfort each other and relax the other, very ‘Notebook’-esque,” Folz said, referring to the 2004 romantic movie. Penny and Banjo took advantage of their staycation together by making sure they were always side by side, no matter what. 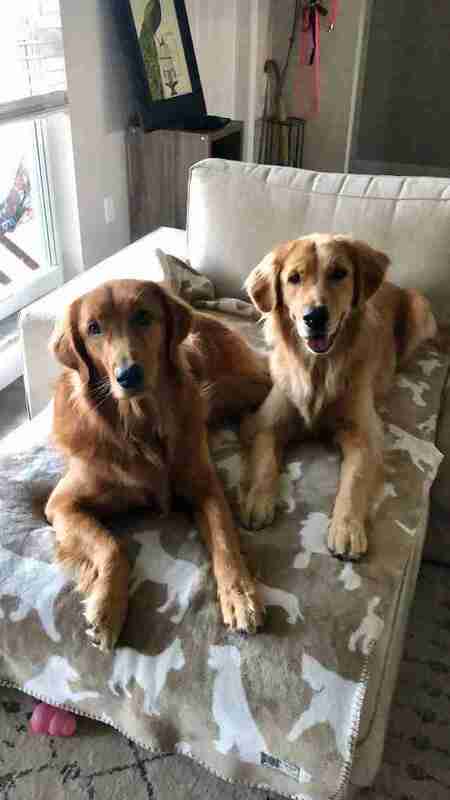 When Penny’s parents went to work during Banjo’s stay at their house, they would check their pet camera and see the two dogs curled up on the couch together. Penny and Banjo are inseparable, and not even distance can break up their perfect relationship. You can follow Banjo and Penny on their respective Instagram accounts.